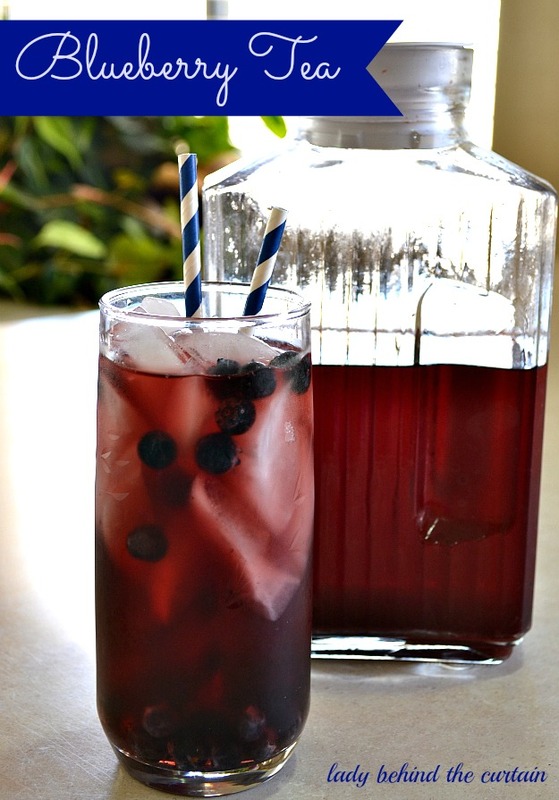 Cool down with this refreshing summer blueberry tea made with fresh blueberries! Place the blueberries, sugar and water into a blender and blend until liquefied. In a medium saucepan bring 1 quart of water to a boil. Add tea bags and cover for 1 hour. Add sugar to the pitcher and pour hot tea over to melt sugar. Stir until sugar is melted and combined. Add remaining 1 quart of water and stir. You have three options for the blueberry mixture. You can either add the blueberries with the pulp (warning it is chewy), strain the blueberries before adding them to the tea or for added flavor add the blueberries with the pulp to sit over night and strain when ready to serve. **I used Splenda in place of the sugar. what type of tea did you use? Hi Elizabeth, I used Lipton tea bags. You can use your favorite black tea. Can tjus recipe be interchangeable with a pound of any berries or fesh fruit? Yes Octavia that’s a great idea! Did you use regular size or family size tea bags? ? Hi Barbara, I used regular size tea bags. I’m so glad they loved the recipe!